He was always like that. A terrific teacher. Words scented by woody cigarette smoke. It was the day that college began. 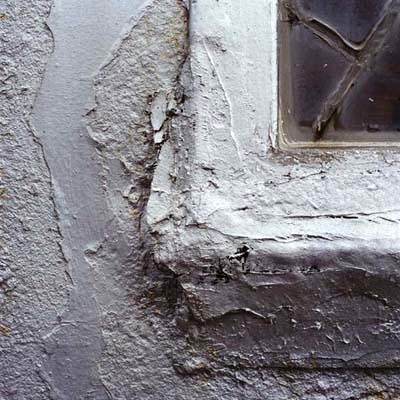 The worn corners of the old windows and the joy of balancing on narrow windowsills. Life on the edge. Freshmen year. Most of them without a clue as to why they were there. That always happened to his class. Which I sometimes felt was a pity- he had so much to give and if you strip away the hollow of expectation, then everything becomes more than enough. Asking for more was what he always wanted. And that's why I was sent into his life. His books which had innumerable strips of papers eagerly waiting to be pulled out and read. Scribbles of his thoughts and what he wanted say. There was so much I didn't understand. There was so much I understood. So sitting by the windowsill, I heard the white finger of chalk squeal on the summer-dust-collected-board that had been wiped almost clean that morning. Scars always remain. His handwriting was terrible. Achingly painful was the feeling as always, when I saw him address a crowd. As in response to his hope that this year would be different. The words that stayed on my mind that year. And forever. 'Hitch your wagon to a star'. And that's what he did. On a wagon that moved too fast and all that was left behind of him was a whiff of stardust. We are all on some wagon or the other. Some go slow, some go fast. Don't look at the ones that have overtaken yours or that are lagging behind. Just enjoy your trip with your co-travelers! OAC: Were you? There I mean. I feel I ought to know you. I sometimes feel I almost do. Commenting after a long time. But, I do visit your page regularly...just a lil lazy to sign in and comment u see. Poornima, when can we expect lengthy posts? Short stories may be? Oh no; instead, its too late in the night! Do you really remember him saying that? Or is this part imagination? The cigarettes.. the classes.. and July.. am I putting things together correctly? Hey remember me.. havent been here for ages.. great to see you still write and still as beautifully as i can remember. Aparna: He died long before Orkut came in. Toothless wonder: Lovely blog you have out there! Reva: Of course! 12 is not too young not to remember illaya? And yeah- you have the sequence of events right dear. Bakfire: Windowsills are better, esp if you aren't part of the class and yet are. Praveen: Of course I remember. How've you been? He wasn't that old. A person who beat me a spine. Taught me humour. And I hear the last thing he did was take a class. >why I was sent into his life. makes me feel- than a classroom story, it has to do more with your life, not sure though! Isint it best to have someone who can "Give" when you "Ask" for it!!! aiiiii. squealing chalk gives me goose bumps. I have been following your blog for a while now. Your writing is very promising. Keep it going girl. Maybe you could pitch in more details like his name and what he taught, for it is unclear to me at certain places. Sudarshan: There are always lessons to be learnt. 12 long yrs! would have been a very happy person today had he been alive.